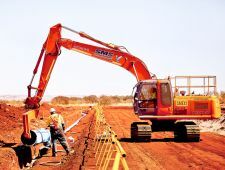 BCE engaged by Monadelphous to assist in laying 120km steel of pipeline in WA Pilbara - Pannawonica ; Survey included SMP works for pump stations and transfer stations. 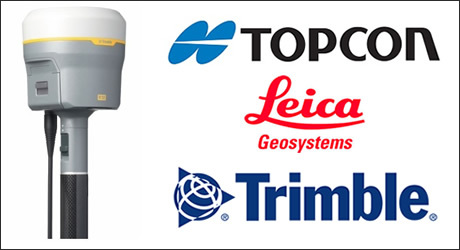 Responsible for control network, machine guidance for trenching and clearing, set out for construction and as-constructed surveys. 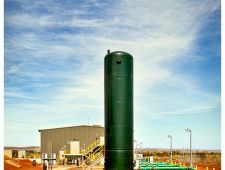 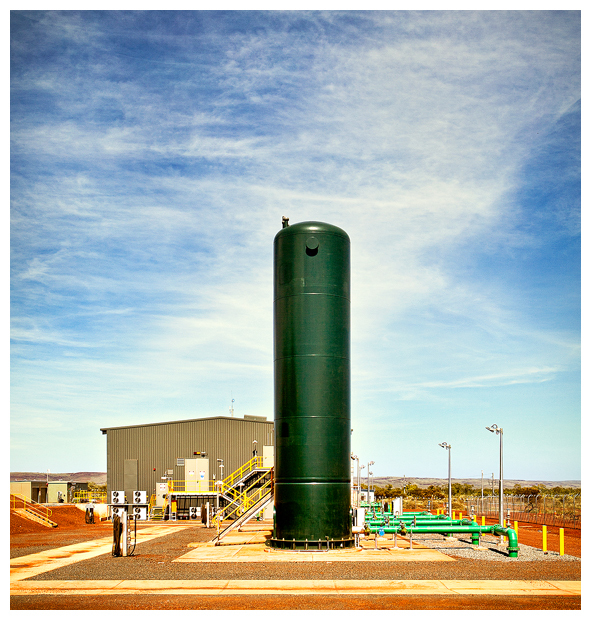 The scope of the Coastal Water Project was to install; a bore field at Bungaroo Creek; a Transfer Pump Station (TPS); and 87km of pipeline to transport the precious resource to the existing Millstream network. 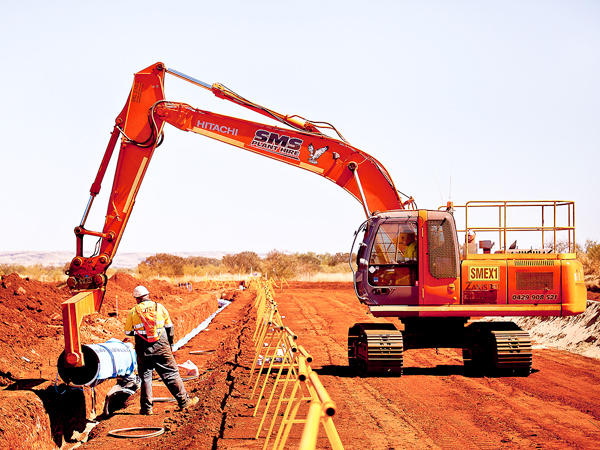 Power for the new infrastructure was serviced via a 30km 33kV power line out of nearby Pannawonica, which required a robust solution to cross the well-known Robe River.